A couple of months ago, at dinner with an American Jewish friend, we discussed our concerns about the growing normalization of anti-Semitism. While on the European continent, it has long been common for Jews to at least think about what they would do if things ever got too bad, with the UK and US regarded as havens. Not any more, he told me. In the UK, we have seen a summer where the opposition Labour Party has been exposed as having an internal discourse infected with anti-Semitism. The same party is led by a man who has, over a number of years, shared platforms and discussions with people and organizations renowned for their anti-Semitism and even, bizarrely, appeared to defend artwork displaying anti-Semitic tropes before saying it was all a mistake and he hadn't looked at it properly. 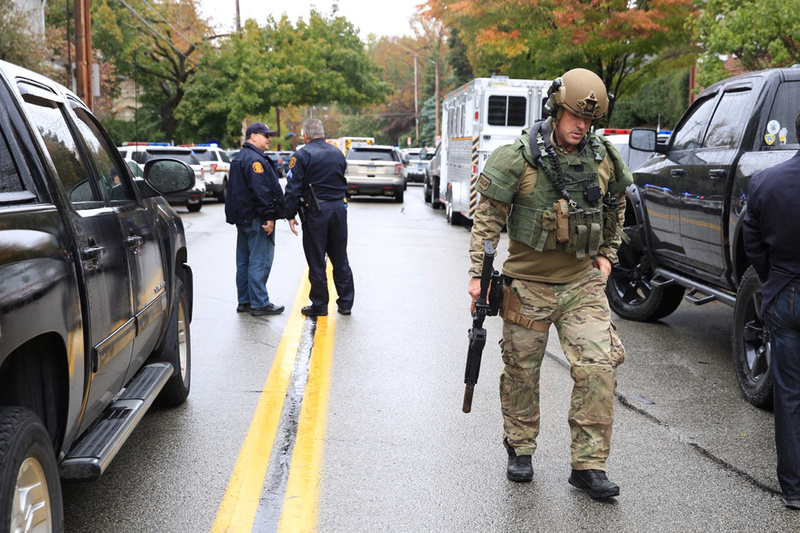 At the weekend, in the US, someone decided to violently act out the threats they had made online and walked into a synagogue in Pittsburgh and shot dead 11 people. It is profoundly depressing how in thrall to the worst elements of our history we remain in this supposedly civilized age. I have written previously in these pages about the power of cultural memory: The effects of beliefs and events long ago, which remain long after they have faded from memory. Western anti-Semitism, on the left and on the right, is an example of this in action. Popular secular anti-Semitism, of the “Jews will not replace us” and the “globalist conspiracy” variety is an inheritor of the Christian anti-Semitism that pervaded Europe from early in the history of the church. But even that Christian anti-Semitism was a theologized expression of an even earlier Greek anti-Semitism, which became dominant in Christian thought as the church became Hellenized through the late first and second centuries. Two thousand years on, Jews in Europe still live under the shadow of prejudice and attack — usually hidden, but occasionally rearing up, unbidden and angry. It is profoundly depressing how in thrall to the worst elements of our history we remain in this supposedly civilized age. Those who deny a connection between modern anti-Semitism and this history only need to look at the language used by anti-Semites. The alleged perpetrator of Saturday’s massacre had posted on social media describing Jews as “children of Satan” and “invaders that kill our people.” It doesn’t take much digging to see links to blood libel accusations prominent in the Middle Ages, or Christian polemics describing the Jews as in league with the Devil. Jews have long presented an attractive bogeyman for rabble-rousers in the West. They are rarely present in such numbers as to be able to mount a systematic defense. Many subscribing to anti-Semitic ideas about Jews controlling the world will never have knowingly met a Jewish person. And yet the patent absurdity of the prejudice is that, if Jews really did control the world, wouldn’t they do a better job of protecting their own? It is here that one can say that the Arab world shares some blame with the West. When I lived in Egypt, it was commonplace to see praise for Hitler’s actions against the Jews and nakedly anti-Semitic statements, justified on the grounds of Israel’s actions against Palestinians. On TV stations and in newspapers across the Arab world, verbal attacks on Jews are a daily occurrence. And, just as with forms of anti-Semitism in the West, in the Arab world it is often given religious expression. The Pittsburgh massacre is an affront to us all. We must wake up to the kind of political discourse we have allowed to become normalized and understand how it can manifest itself in violent action. Religious leaders — both Christian and Muslim — must recognize the parts that their own traditions have played in perpetuating such hatred, and lead the way in fighting it.